We've had a great time introducing our friends at Queen's Medical Center in Honolulu, Hawaii to southern culture. And what could be more southern than a Goo Goo Cluster? We sent our Hawaiian master planning team members a box of one of Nashville's finest creations recently and learned that some of them had never heard of this delicious treat. We bet even many of our fellow Nashvillians didn't realize that the Goo Goo, invented in 1912 at Standard Candy Company, was the first ever combination candy bar. 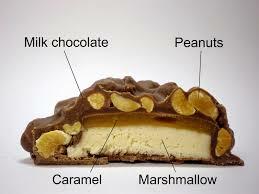 The simple anatomy of caramel, marshmallow nougat, fresh roasted peanuts and milk chocolate makes for a full-bodied treat! !